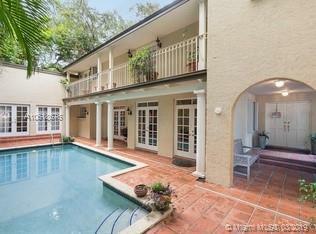 QUIET OASIS IN THE BEST NEIGHBORHOOD IN COCONUT GROVE. 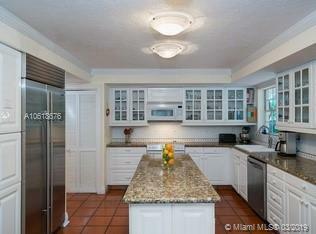 CENTRALLY LOCATED JUST OFF MAINHIGHWAY BETWEEN CORAL GABLES AND BRICKELL, THIS 2-STORY HOME FEATURES OUTDOORENTERTAINING AREA WITH POOL, SEPARATE GUEST/POOL HOUSE, TOP OF THELINE CONTEMPORARY CHEF KITCHEN WITH SS APPLIANCES (SUBZERO FRIDGE &NEW RANGE), AND 2 CAR GARAGE. LUSH LANDSCAPING VIEWS FROM EVERYWINDOW. 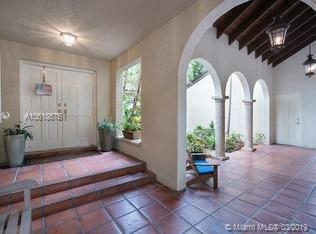 LARGE MASTER SUITE AND 2 ADDITIONAL BEDROOMS UPSTAIRS, ALLWITH WOOD FLOORS AND CUSTOM CLOSETS. NEW METAL ROOF IN 2016 ANDPROPANE GENERATOR. WALKING DISTANCE TO RANSOM & CARROLTON, ASWELL AS CINEMA, RESTAURANTS, AND ALL THE GROVE HAS TO OFFER. 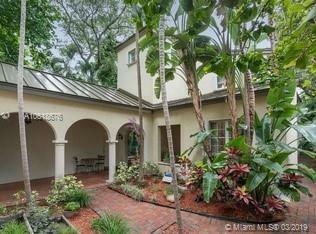 Listing courtesy of Integrated Realty Of Florida.